Wow, you have really been busy. You have made everything look like it wasn't a challenge at all. 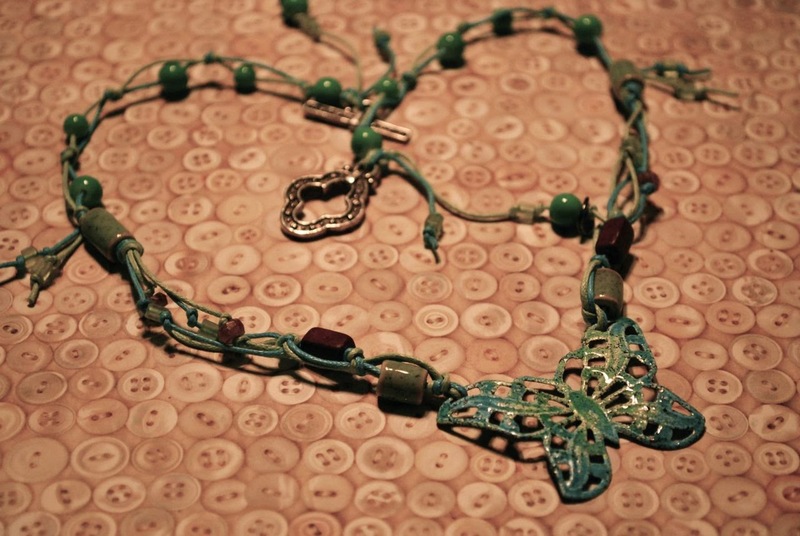 Love, love, love how you used the cording in your projects, even small holed beads didn't stop you. 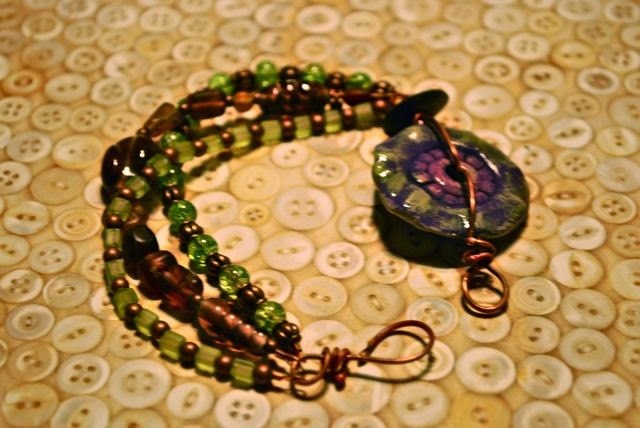 I love how you used the bead that I made too, think I have to make more of them. Thanks so much for being my partner, I really had fun with my soup and have some pieces that I am really going to love wearing. Thanks to Lori Anderson too for hosting this hop, I don't know her secret for matching partners but I think she does an awesome job. Love that you were challenged to go outside your comfort zone! Beautiful creations! Great soup, I like your bracelets! Cris you always make wonderful pieces no matter the challenge. I love how you used the cording and the necklace and bracelet came out stunningly. Great job! I like what you made! Very nice pieces from a lovely soup! I love your 3-strand bracelet! What great soup! My fave - Green! Love what you made, especially the corded stuff. You did a great job on them! 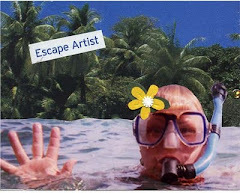 I love yor soup and the layout of your blog! So creative! Cris, Four bracelets, a necklace and a pair of earrings is a lot to make from one soup. Your designs are all wonderful. Kudos to you for working with the cord. You did really well working with the cord. I tried macrame for a pieces I was working on for my next challenge but it did not work out well with that piece. I have done it recently on a keychain though. You are one talented lady! Great job! I love them all! Such lovely, lovely makes. You really made the best of your soup. Well done! Wow, what yummy stuff you made. I am so into the green/purple color scheme. Challenge met and defeated, I say. i am in love with that first necklace. It is lovely how you have worked with the cord. And I also like the colour combination. Nice job. It indeed was a tasty soup and it's great that you felt challenged with the work. You did a wonderful job. 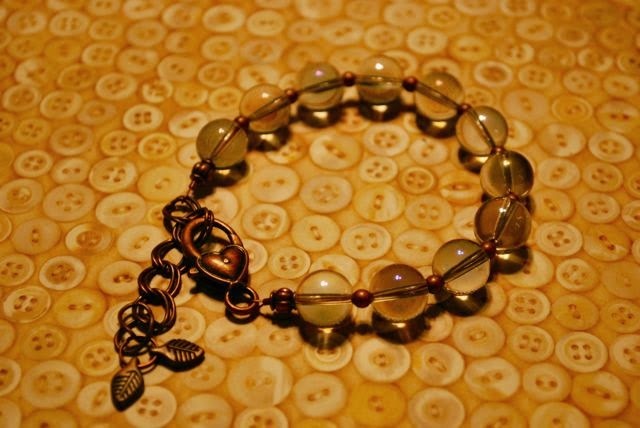 I really love the macrame bracelet and the clear big beads are yummie. great job. I'm drawn to anything with butterflies and love but have yet to master anything knotted. Congratulations. Great soup, really nice bracelets. My favourite is the purple and green one. Oh wow, those colors ! And I love the way you used cord for the first necklace. Cord and I arn't friends, heh. I love what you made with your soup. Using cord is on my to-do list and I hope I start as well as you did! 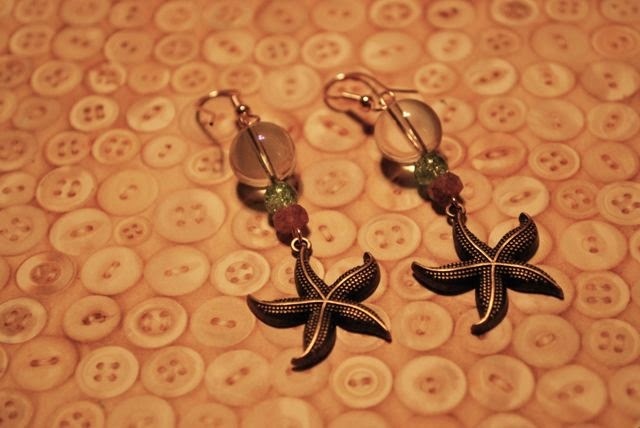 I am in love with your starfish earrings and the poly clay bead that she sent you is beautiful. I will be checking out her Etsy store! Your soup is delicious and I enjoyed every bite! Kudos to you for pushing your comfort zone and using the cord! Beautiful job! I love that you got such a fantastic range of bracelets out of one soup... all so different, but tied together in small ways... well done! great work incorporating linen cording. inspiring! You did very well with the knotted cord, I love all your pieces. They are cheerful and happy, and bright - my favourite would be the butterfly necklace, I adore butterflies - and your enameled one is gorgeous! The cord design is awesome, love the necklace. All your pieces are very pretty, great job. You really embraced the challenge of that cording and did beautiful things with it. 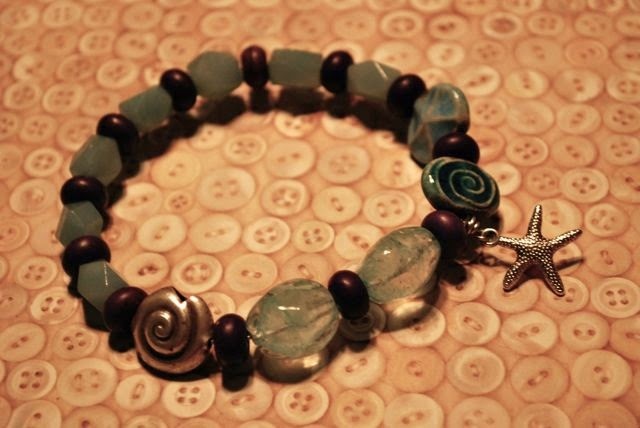 Every design is lovely and I am particularly drawn to the bracelet you made with the polymer clay focal. Great work. Oh my gosh I love what you did with that cording. You would never know it was the first time you worked with it. I especially like the 3 strand bracelet. Nice job with your soup! Cris - what a delightful soup you got to play with! I love what you did with the butterfly focal and the cording - the way you worked the cording echoes the filigree of the butterfly in such a lovely way! And the bracelets - all of them are just super! Love your work, Chica! Beautiful soup you have. You did great for your first time with cording. Pretty bracelets, especially the 3 strand. Lovely work. I especially like the bracelets - each one is unique. Wow, you made so many lovely pieces with your soup. Great job. Wow you cooked quite a bit of deliciousness! I really like the 3 strand bracelet too! Great colors. Just Soup-er! Great soup! I love all your pieces and yes macrame is making a come back and I plan on dusting off my moves...lol...Excellent work on all the pieces! Lovely pieces! You did a great job with the cording and macrame! I love what you made with your soup :) My favorites are the earrings with the sea stars and the necklace with the enamel butterfly. I love everything you did. The corded necklace is a stunner. It sure doesn't look like you felt challenged. Each piece is well made and lovely. I really like your last bracelet, the macramé around large then All the pieces are very wearable. My favorites are your first and last designs where you knotted. It has such an earthy feel. Your pictures are so clear as well. Great job. These ar so lovely I especially like the butterfly necklace but they are all beautiful! 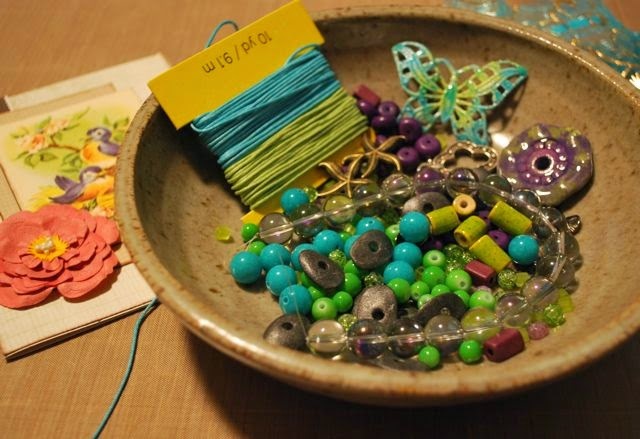 Your first attempt at cording is impressive and just right for the butterfly focal. And you have managed to highlight the beauty of the clear stones with just a few touches! The bracelet with the clay focal is my favorite, followed by the bangle - great idea to use wooden and stone beads together, have to try it! 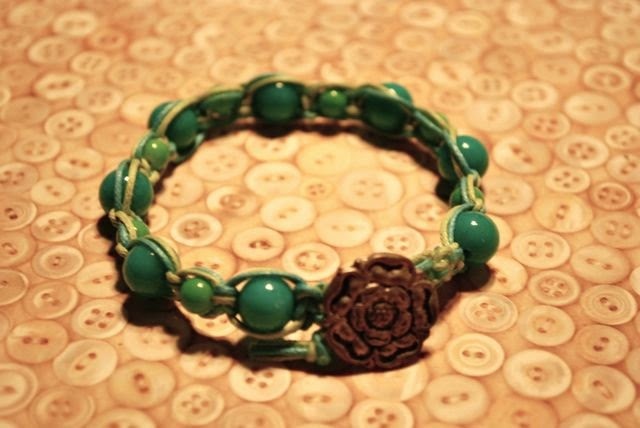 The green color in the macrame is my favorite and the shank button adds so much texture! What gorgeous soup you received! Love what you did with the butterfly. Wow! I can't believe that you don't use cording all the time. I love the idea of using beading wire and macraming around it. Brilliant! These design are really YUMMY!!! I loved all of them, The necklace with the butterfly is inspired. And I love all the bracelets!!! Have a Blessed Day! Oh, excellent work with your soup. I love the palette of colors you received, and you totally went to town with it. Great job getting outside your comfort zone and working with unfamiliar materials/techniques. Everything turned out beautifully! Loving all those bracelets, especially the one with that sweet heart clasp and clear beads. You definitely had fun, great soup! 57 comments!?! Holy moly! My little comment will be lost in the shuffle! Those earrings and that necklace are yummOLA. Great colors. and, of course... the sea..